I’m a big Microsoft fan and it pains me to see the news today about all the layoffs. I’m not going to go into the reasons why they should do this or not, that will be done to the Nth degree by tech news sites. 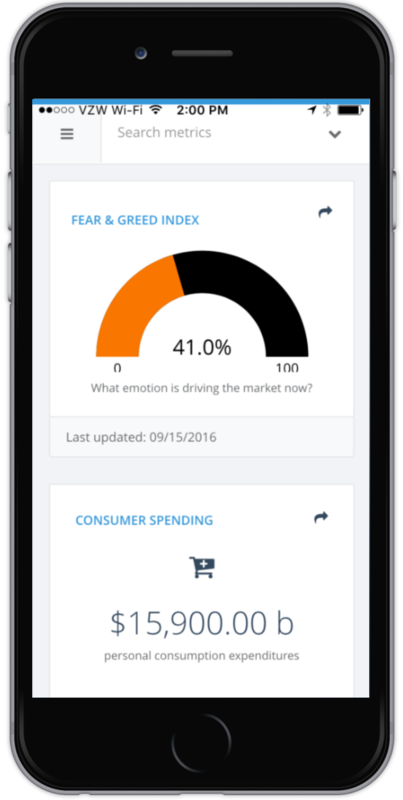 Rather, I would like to show what people are saying via Twitter using some simple social media insights! 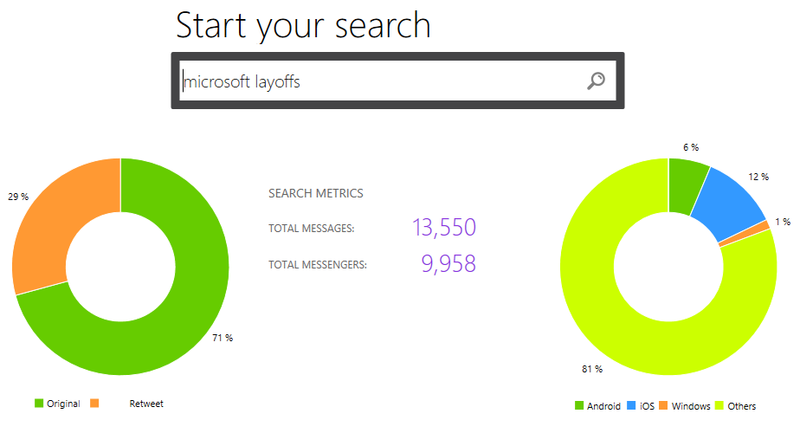 I fired up PlusOneSocial and quickly pulled over 13,500+ tweets using the keyword “Microsoft Layoffs” this morning. 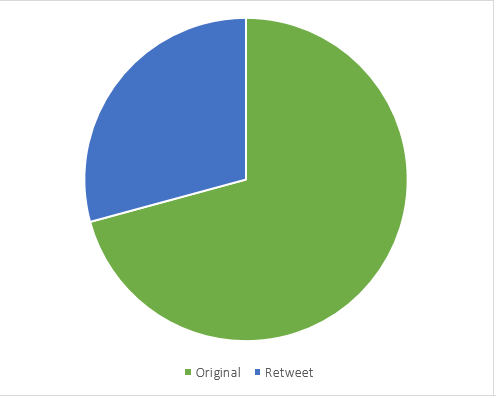 Then quickly I used Excel 2013 to pull a lot of original tweets on this subject. People are just begining the retweet what they are reading on the news. 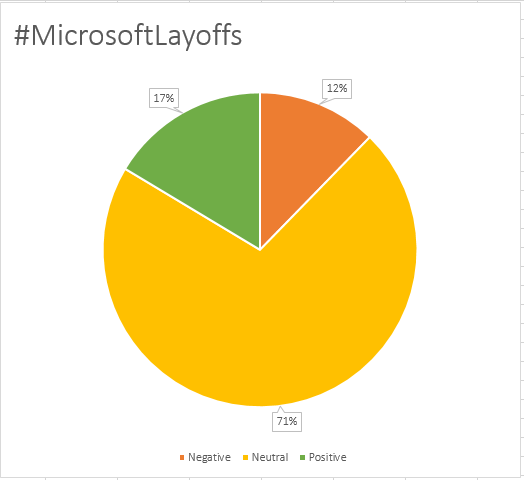 What does the sentiment look like for the Microsoft Layoffs? Overall, the messaging is pretty neutral. 17% Positive and 12% Negative on the news. Then I searched on “$MSFT” which is a common keyword for talking about stocks. I thought it would be interesting to see how the traders are talking about Microsoft in regards to the news and it seems to match the discussion as a whole. That is very interesting. I love the fact that I can quickly get a heartbeat on any topic via social.